Global business landscape is presently witnessing growing trend of cloud adoption and there are all signs to confirm that the trend will gather further momentum in 2016. Organizations leverage amazing capabilities of clouds to address challenges of growing IT demands. Cloud hosting presents equal number of opportunities to small as well as large organizations in terms of supporting their IT infrastructure in an agile and responsive manner. It would be relevant to discuss vital attributes of cloud that are encouraging organizations to adopt cloud capabilities. Cloud computing helps project teams work from anywhere. Business related data can be accessed from anywhere for effective customer interactions. Executives are free to get their hands on required data from home or even while travelling. This can effectively streamline business processes by significantly mitigating lead times. For example, sales personnel can access real-time inventories to check product inventories without having to send requests and reminders to concerned departments. Field executives can have better interactions with clients with immediate access to historical data related to purchase invoices and overdue outstanding payments without involving accounts department for such information. Moreover, this data can be accessed by using any device such as laptop, smart-phone, or tablet. Cloud based applications improve implementation of solutions without any delays. This can be easily understood by considering example of on-premise ERP solutions that can take months before it becomes operational due to setting up and maintenance of equipment, on-site installation of software on physical machines, and a multitude of other aspects. In contrast, SaaS based ERP application is instantly deployed and can be up and running within hours. These are also updated by a single click of button unlike traditional applications that need to be updated by physical installation of new copies. Since there is no involvement of any physical equipment for availing cloud capabilities, companies need no upfront investment for physical server and so forth. 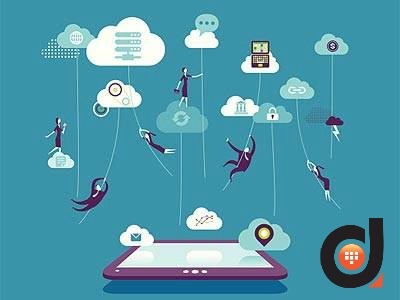 Owing to maturing of cloud computing and proliferation of cloud hosting providers more and more cloud solutions are being made available at affordable costs. Moreover, whatever initial investment is made in cloud adaptation is bound to pay off well in the longer run. Growth is the major attribute of smaller enterprises, startups, and medium sized organizations. Cloud supports growth due to its remarkable scalability. Customers can move to higher plans in response to growth with considerable ease. Cloud hosting also absorbs sudden rise in resource requirement due to traffic spikes. Needless to mention, the scalability can be also applied in the event of reducing resource requirement in the event of temporary slow-down. Cloud is highly regarded for boosting website speed. This property can be of great use to improve browsing experience and better customer engagement. Slow page load is a common concern in traditional hosting. There are instances where the speed of page loads was increased up to three hundred percent after cloud adoption. This factor is also responsible for higher page ranking in search results of major search engines. Seamless resource provisioning is an important attribute of cloud hosting. Cloud hosting helps websites with incessant resources by pulling resources from an expansive network of physical servers. It also maintains several copies of your files and therefore if any server faces a shutdown, then resources are instantly pulled from other server to prevent a downtime. This explains how cloud hosting can assure flawless uptime. Cloud-computing enables real-time access to business critical data to any team member as per the roles. Every individual member of the ream can be empowered to access vital data from the original source for improved productivity and collaboration. This is one of the greatest attributes of cloud for organizations that have team members dispersed in multiple locations. Availability of real-time business data also improves decision making process by enabling effective tracking of vital business indicators for a timely action. Cloud based tracking systems are capable of providing data, reports and analytics at anytime. These can also be scheduled to be delivered at specified time intervals. Cloud helps entrepreneurs take their business to next level by adopting cloud computing. Whether you want to accelerate and streamline business processes, secure your data in cloud, provide unrestricted access of business data to your employees who are working in field, or adopt SaaS based application, cloud has you covered.